If your travel date isn't open for booking yet, you can set up a booking alert and we'll send you an email as soon as tickets open. This depends on the booking horizon, which is how far in advance you can book. This is different for each rail operator and country. Search for trains even if you know it's too early to book. We recommend setting up separate alerts for each leg of a long distance journey; that way you'll be notified as soon as tickets for each part become available. 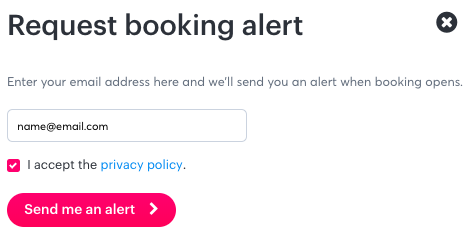 Click "Alert me when booking opens". 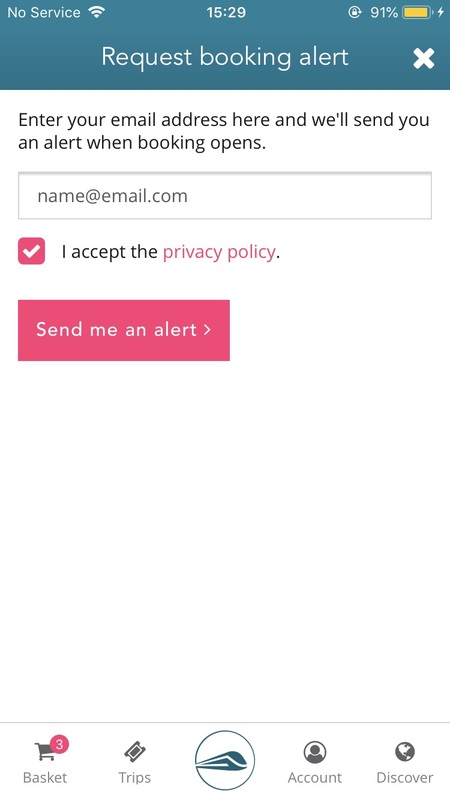 If you're signed into your account, your email address will appear automatically. As soon as booking opens, we'll send you an email with a link to your search. Click the link and you'll see your journey! You can log in or register for a Loco2 account to manage your booking alerts online. If you didn't have an account when you set the alert, don't worry. Sign up for an account with the same email address and your alerts will be available there. You can see the travel date and time you have set the alert for. Click the "edit" button to see your original search, where you can change the time, date or stations and set a new alert. 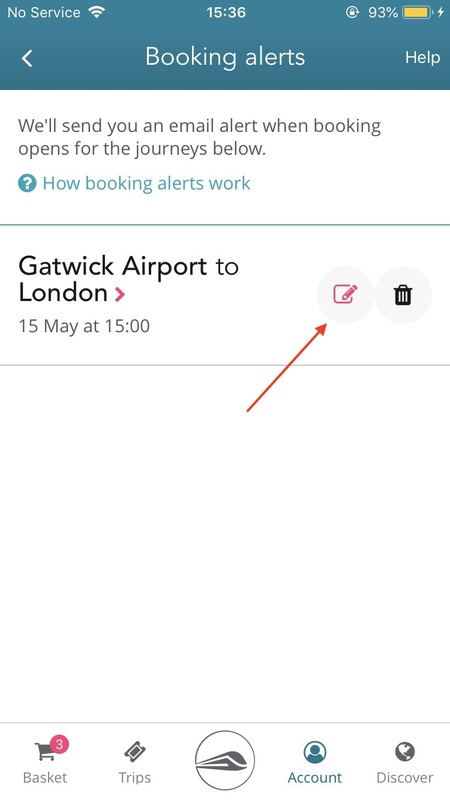 Due to the complexity of booking alerts, when you set an alert for a return journey our system automatically sets two separate alerts for each direction. That means the outbound leg of your journey may open before the inbound, and you'll need to decide whether or not you want to wait to book both legs at the same time. Our Help article Booking journey legs separately weighs the various options and has more details for you. Sadly it is not possible to offer a booking alert for routes wholly or partially outside of France, Germany, Spain, Italy, and the UK. 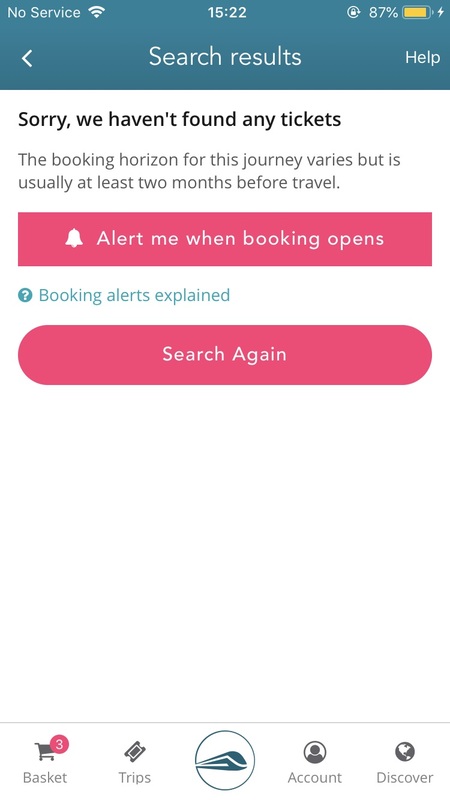 If the option to set a booking alert is not available for your search it is because your chosen route currently does not support alerts. Please refer to our Help article How far in advance can I book for more information about your journey's booking horizon.